Everyone knows that living a healthy, active lifestyle has countless health benefits—physical and mental. Yet, as a society, we appear to be getting less and less healthy, with nearly 40% of adults in America clinically obese and 160 million Americans overweight. This, in turn, can lead to low self-esteem and depression. Even more alarming are rising obesity rates in our children. It is past time to exchange sedentariness for activity. Perhaps one of the best things we can do for our young people, in fact, is to introduce them to physical activity through play and sports. And while there are obvious health benefits, such organized activity also builds tenacity, teamwork skills, and leadership qualities—positive traits that can have a lasting and profound impact. 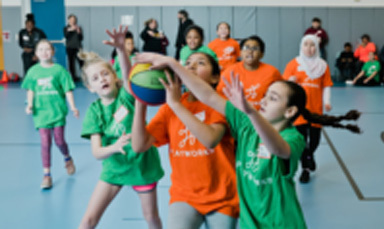 Unfortunately, far too many children simply do not have the opportunity to get involved with sports, either because of lack of resources or gender stereotyping (this is especially true for young females). 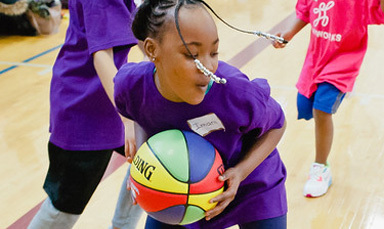 Research shows that if a girl does not participate in sports by age 10, there is only a 10% chance she will participate later in life, if at all. On the other end of the spectrum, research also tells us that four out of five (more than 80%) of executive women played sports growing up, with the vast majority saying lessons they learned playing sports contributed to their success. 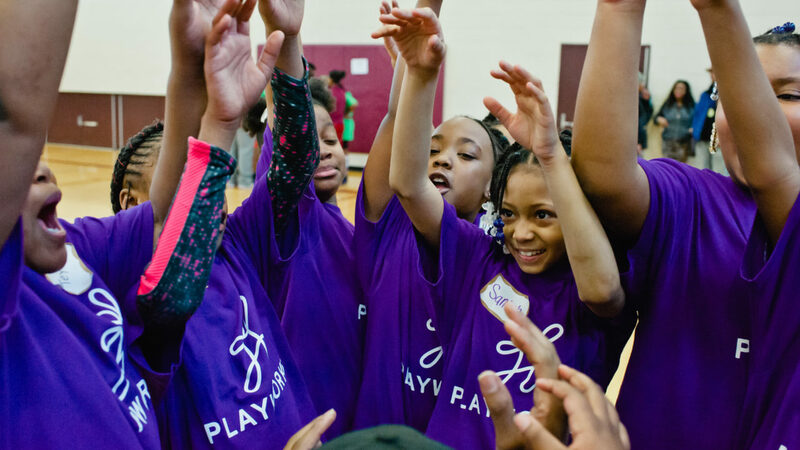 As we seek to level the playing field, Playworks Michigan continues to provide forums for aspiring athletes including our no-cost developmental girls basketball league. 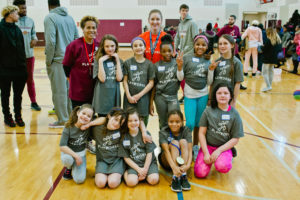 Now in its 10th year, the league introduces 3rd-, 4th-, and 5th-grade girls to the benefits and enjoyment of sports in a noncompetitive setting. This year, more than 100 elementary-aged girls are participating from schools in Dearborn, Detroit, Ferndale, and Warren. The aspiring athletes meet and practice once each week for eight weeks after school. 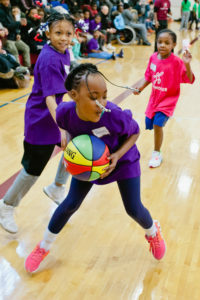 The season culminates with Jamboree, an all-day event on February 9, which takes place on the Saturday following the 33rd annual National Girls and Women in Sports Day—a national observance celebrating the extraordinary achievements of girls in sports. To help promote inclusion and healthy competition, the girls from the various schools are randomly assigned to teams at the Jamboree. No score is kept, as the focus of the league is on what’s truly important—being active and having fun! According to the Women’s Sports Foundation, girls who participate in athletics report being more content with their lives than girls who do not participate. Research has also proven that many of the social, educational, and health benefits of sports participation become visible in elementary school years and continue into adulthood.  For this particular program, our key goal is to help young women develop life skills such as cooperation and perseverance that will guide them through everything they accomplish in their lives. That, as they say, is a slam dunk.